VDCA has been a registered NGO in Cambodia since 2007, receiving no government assistance and all programmes are funded through donations. 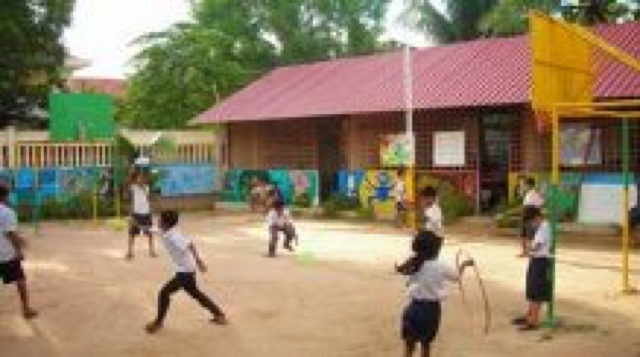 They currently operate the VDCA Free School in Siem Reap and Anlung Pi Free School, Anlung Pi Free School was established in 2012 and is located at Anlung Pi Village, Siem Reap Province, offering free education to over 300 children from the Anlung Pi village and rubbish dump. Many of the children have parents who work at the dump collecting recyclables. Others have parents who have been forced to relocate for work and are being raised by family members. Additionally they offer nursery school education and a feeding programme for the kids whose parents work at the dumpsite only earning a few dollars a day. VDCA are in need of donations to help towards the running costs of both schools.